County WD to Clark Lake Court, then west on Clark Lake Court to Clark Lake Drive. South on Clark Lake rive to property. Custom aluminum wood box and two sections of dock in the water. Hello, I’m interested in 5565 S CLARK LAKE DRIVE and would like to take a look around. 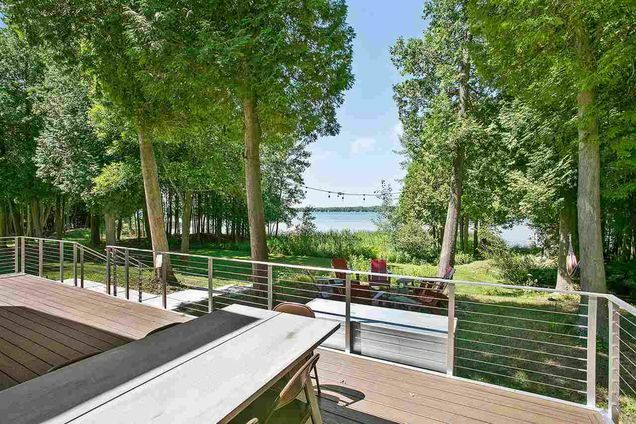 The details on 5565 S CLARK LAKE DRIVE: This house located in Jacksonport, WI 54235 is currently for sale for $500,000. 5565 S CLARK LAKE DRIVE is a 1,300 square foot house with 3 beds and 2 baths that has been on Estately for 283 days. This house is in the attendance area of Sevastopol High School, Sevastopol Junior High School, and Sevastopol Elementary School.